So who uses five cylinder engines and why? Do they have a future? DTW asks these questions today. Read on to accumulate wisdom on this subject. 1976 Audi 100: five-cylinders available. One might be tempted to think of five cylinder engines as being something of a novelty, if they are not a rarity. However, before Audi and Mercedes in the 1970s, Ford experimented with the concept in the 1930s and 1940s but never put anything into production. The heyday of the five has been from the end of the 70s until a few years ago. Not a bad run. The window of opportunity for the five-cylinder now seems to be closing. What opened it? The reasons one might want to use a five-cylinder engine are much the same as for why one might want a four-cylinder instead of a three. You can add capacity and reduce stress. The in-line five cylinder bridges the capacity gap between 2.0 and 2.5 litres. In this capacity a 4-cylinder can be over-stressed and a V6 or in-line six too costly, thirsty and large. A likely starting point is an engine range based on 4-cylinder units that needs expansion to power larger, heavier vehicles than a firm’s four-cylinder range can cope with. Think of a smallish, middle market firm wanting to punch above its weight. Our list of applications below show this is the case. Firms with sixes seldom tried fives, but firms with fours sometimes did. In the same way that we have seen that over-stressed small-capacity 4-cylinder engines (as in VW’s 1.4 TSi) can be problematic, a four-cylinder engine seems to be overworked much beyond 2.5 litres. GM’s Iron Duke of the 1970s and 1980s is one example of an overworked four; Lancia tried to offer a large capacity four-cylinder boxer in the 1976 Gamma without success; and in 1978 Saab tried to avoid adding cylinders by turbo-charging the slant 4 Triumph engine. Respectively, these workarounds resulted in coarseness, lack of prestige and unpredictable power delivery. Add to this litany of try-hards the Citroen solution of turbo-charging a 2400 unit to give coarseneness, thirst and turbo-lag in one fine package. 1993 Volvo 850 wagon: five doors, five cylinders and five seats. The quint engine avoids these problems in theory. Furthermore, from the vantage point of considering in-line four cylinders and in-line sixes, an in-line five seems like a natural middle point, a transition. In fact, the in-line five might just offer the power of a six but without the torsional rigidity problems of an in-line 6 and bulk of a V6. And a quint can offer the economy of a four but without the need for higher revolutions or too much swept volume. However, in practice a five-cylinder engine has vertical vibrations that need to be dealt with before accessing the advantages of the torque pulses that come every 144 degrees of crank rotation. Counterweights on the crankshaft (at either end) deal with those vertical motions and tuning of the mounts deal with the other, secondary shakes. The end result is an engine that is shorter than an in-line six, and narrower than a four. It can be mounted transversely too. That’s especially good for front-wheel drive cars (middle market brands, step forward). 1992 Acura Vigor: a trendsetter as an early example of the door-shutline and DLO graphics parting company. Lexus pursued this concept. 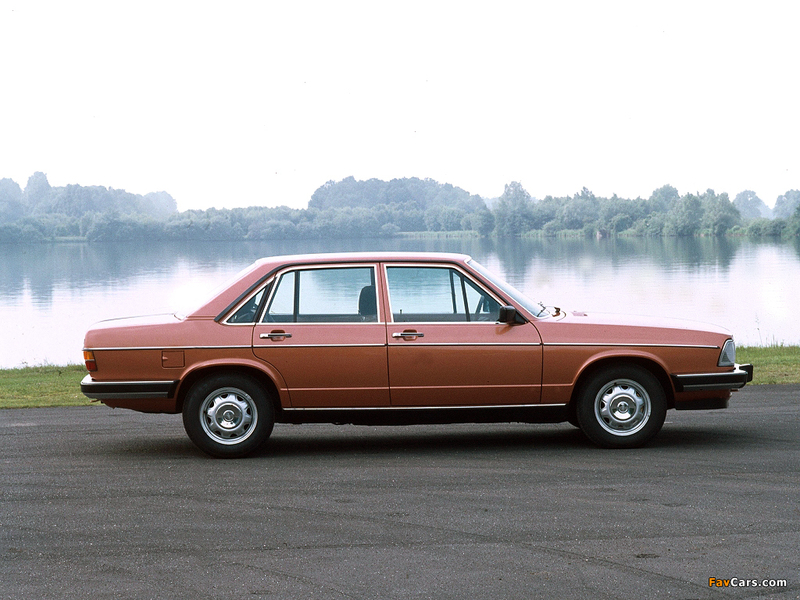 An early example of the five-cylinder engine is the Mercedes OM617 diesel in 1974. It was economical but deathly slow. Audi claimed a first by installing a quint petrol in a mass produced car in the 1976 Audi 100. Here was an example of a middle-ranking firm trying to build up from a base of fours, as it happens. 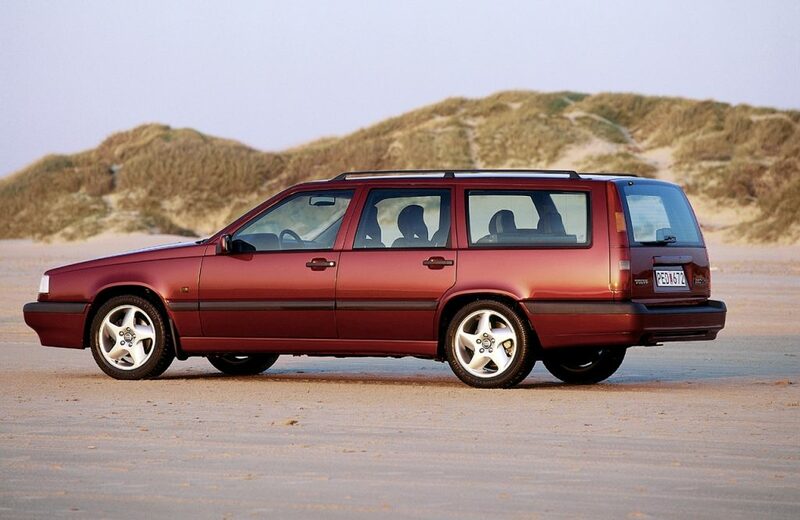 The 1993 Volvo 850 series was driven by in-line fives of 2.0, 2.3 and 2.4 litres capacity. Sixes didn’t work for them and they needed something better than their tired 2.4 litre four-cylinders used in the 240 series. The 1994 Lancia Kappa went five-ish with 2.0 and 2.5 litre normally-aspirated petrols, along with a turbocharged 2.0. That last one, on paper, seems to offer all the weirdness of a five with the splurgy power-delivery of a turbo. If the 2.4 flat four was like overstretching the four-cylinder concept, a 2.0 turbo charged five seems to cramp the five’s style. 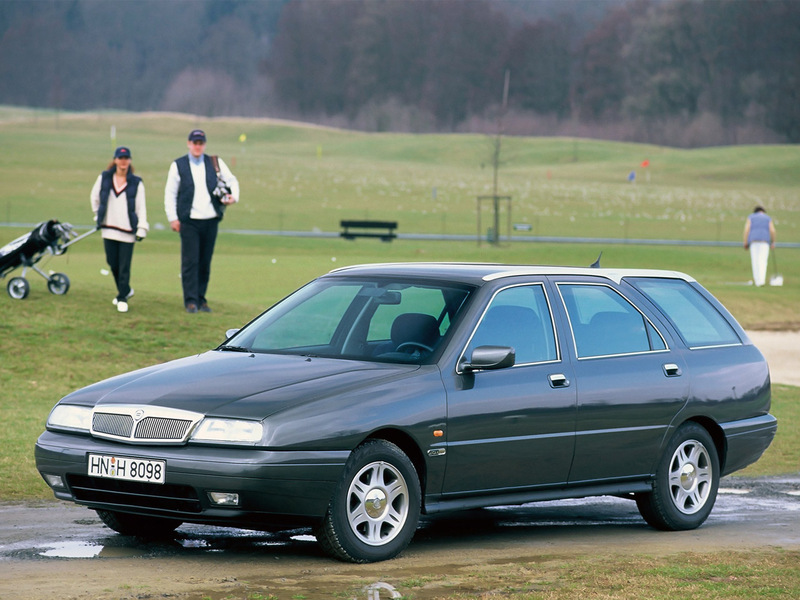 The unlamented 1998 Lancia Lybra also came with a five-cylinder engine and this must be the definitive application of the five in a Lancia. Over in the US of Stateside and Japan, Acura-stroke-Honda offered the Vigor saloon with either a 2.0 or a 2.5 five-cylinder five. Yet again: a brand on the make. Acura is Honda’s upmarket marque so adding swept volume the five-pot way fits in with Honda’s start point of mastery of fours. It wasn’t very popular as people went for either the fours or the sixes and so the 2.5 L G25A and 2.0 L G20A engines were discontinued. VW powered various Boras with 5s (mostly for the US, I gather). 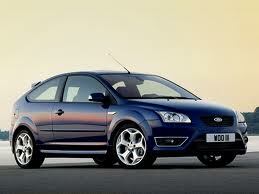 Finally, Ford used a five-cylinder in the 2005 Focus ST and in some versions of the S-Max. This promised impressive performance but profligate thirst (the S-Max had two tail-pipes in the hotter versions). 1996 Lancia Kappa 2.0 litre estate: they could have done the rear doors rather better. Our short catalogue shows a pattern: the five pot engine is ideally suited to front wheel drive, smaller, middle-market marques. The Ford and VW applications are anomalies (and in both cases based on engines developed by other brands). The future of five looks dim. In 2012 VW and Volvo announced they would discontinue their 5-cylinder engines. The reasons cited involved efficiency (of the engines) and cost (to make). As we have seen in our survey of engines, odd cylinders are in if the count is three. And four cylinder engines are being turbocharged and reduced in volume to satisfy demands for fuel economy. Adding stress, of course, which the five and even larger fours do without. 2005 Ford Focus ST: manic and dipsomaniac. Here at DTW we tend to favour diversity and the demise of the in-line five simply means a little less colour in the automotive world. I suspect the five-cylinder engine is indeed not a natural format as the four and six are, for reasons of harmonics and symmetry. But the five had what old folks called “character”. I’ve experienced the five cylinder engines in the Lancia Kappa and the Volvo S70 and I quite like the thrum and roar of the units. The engine certainly fitted in with Lancia’s eccentric, Alpine character. And the Volvo’s unit is able to haul their drab slab along uncomplainingly and without stress. A four-pot moving such a car would be working too hard and a V6 would speak against Volvo’s social democratic value. Fives had their uses. Having discovered the Five late in life, I’m now a complete convert. This isn’t all good because, if it wasn’t that I’d miss the thrumm of my Audi’s engine, I’d find it far easier to get rid of, thus allowing me to indulge myself in the pages of mobile.de and autotrader.com again. I certainly think the motoring world will be diminished when fives disappear. If the princely six has the absolutely correct tones of Laurence Olivier, the five has the more worldly pronunciation of Richard Burton. Sorry to go so back in time but actors all sound like misfiring Ecotecs these days. You don’t mention it (and there’s no reason why you should) but Fiat’s 5 cylinder found a home in the Bangle designed Fiat Coupe where it was spoken of very highly. There’s a six missing in this sentence – or is it a four? A six – definitely a six…. … but not quite? Four-and-a-half? There’s only one Bora (you could call it Jetta mkIV). Interestingly (well, almost) it was fitted with a 2.3L VR5 (derived from the VR6 previously seen in e.g. the Corrado coupé), whereas subsequent models (which marked the return to the Jetta moniker) had a 2.5L in-line five. Hi: I was thinking not of several generations of Boras but just lots of Boras, identical one. As in “nine VW Boras were sold today in a charity auction. But you are right, it´s an ambiguous sentence designed to cover up my ignorance of how many versions of the Bora had five-cylinder engines. I have inserted the missing six. I can’t say I had given much thought to 5-cylinder engines before – other than thinking they were unusual. But I admit that my perspective is only based on a 4-pot upbringing. I consider 3-cylinder engines as totally odd and really just missing the forth cylinder – they sound like a car misfiring. I’ve no such objection to 5-cylinders and have been hauled around by just one to my knowledge in a Volvo 850 T5. It was a beast (in a good way) and incredibly nimble for its mass. The engine seemed tame and sophisticated at low revs and could evidently handle a serious turbo-charger at higher revs, so it evidently worked from an engineering perspective. I celebrate the diversity of 5-cylinders as I celebrate the diversity in all aspects of car design (and dislike convergence). I wonder how tuned exhausts work on 5-cylinders? Can’t have a 5-into 2.5-into 1.25? Is it just a 5-into-1? Robbie Welcome to DTW and thanks for your comment. The 5 cylinder is an unnatural device, but it works. My old Audi S6 has a character of its own and, indeed, if it was fitted with Audi’s later V6, I doubt I would like the car that much. which probably underlines just how unnatural they are! Thanks for the comment. I also thought fives were unusual but evidently quite a few firms had a go a them over a long period. A great question is whether the five was more or less common than that other oddity, the boxer engine. I suspect the five might be more numerous in terms of different engines which tried the format but the Subaru, Porsche, Citroen and Alfa approaches were numerically dominant. Of all the applications I discovered, the Lancias seemed the most appealing. I think Volvo could easily have found 4 and 6 cylinder solutions but Lancia seems to be a five-ish kind of firm. I owned three five cylinder Audis in a row in the 1980s. They were fine and avoided the usual inline 4 thrum with a roar of their own. Used no oil, never went wrong. Always started in the coldest eather we get here in Canada, say minus 30 round these parts. 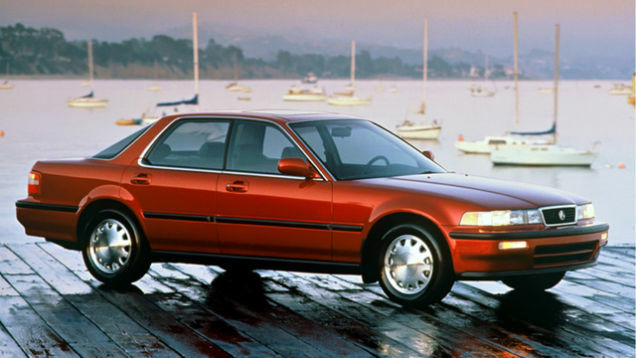 Honda, in their usual tepid way, made their five cylinder Acura Vigor engine with the exact same stroke, 86.4 mm, as the Audis, apparently feeling there was some kind of magic at work. Could not have been coincidence. Their engine lacked any sort of brio whatsoever as did the car and felt weak for the claimed 164 hp, compared tomy 1987 115 hp 80 quattro. Yes, I test drove the Vigor as an alternative, as Hondas were gaining a reputation for reliability that my Audis certainly lacked, but felt I needed something a bit more interesting than a slice of white bread and marge, so that was a no-sale after a couple of miles of wobbly test drive. Up until two years ago, the main engine in North American VW Golfs and Jettas was a 2.5l five in line – the 2.3 V5 whatsit weirdo never made it over here. No doubt its proclivities would have outshone failing window motors and dud electrics, so VW chose the simpler path. The inline five is half the original 5 litre V10, with all the good bits missing like a decent cylinder head. This later 2.5l VW inline 5 made me angry, it was so much better than the old Audi fives! Revved easily and quietly despite the obvious cost-cutting. And you seem to forget the latest 2016 Audi TT-RS and upcoming Audi A3 -RS have this same five, turboed to the hilt to give 360 to 400 hp. Five is symmetrical with respect to a circle, while a 7 is not, but many aircraft radial engines had 7 cylinders per row and did not shake themselves to pieces. Now, the question is, do you lot know why not? I’d buy a five again – the 2.8 V6 in my ’94 90 quattro was a shy beast, and ended my 20 years of Audi motoring. I changed to Subaru. Now, I have never experienced Lancia’s attempt to make a 2.4l flat four, but it was obviously a dud. The 2457cc flat-four turbo in my Legacy is very smooth, flexible and torquey , so it is possible to get things right if you try hard enough. I salute Subaru and their dedication to engineering. They have a boxer diesel engine despite a small market share. The owners I’ve spoken to love them and the unburstable build quality. The Audi fives weren’t known to me when I penned the piece. The five-cylinder/BoraJetta Vento associated escaped my notice because mistakenly I view those cars as saloon sedan Golfs and assumed they had the same engine range. So is it correct to say Golfs generally didn’t have five-cylinder units? I am sure somebody can tell me so I can avoid bothering Google.